Property 8: Beautiful family condo with full kitchen and free WiFi - steps from the beach! Property 9: Family condo w/ balcony & shared pool - beach across the street! Property 11: Enjoy And Relax Padre Style. A Must Have Condo With The Feel Of The Island! Property 15: Beachfront complex!!! Fully remodel condo!! Property 20: Spacious Luxury Bayside 2b/2b With Boat Dock Next To Birding Center. Property 21: Family Fun or Romantic Get-Away steps from the beach! Property 26: Classic condo with a balcony, shared pool & hot tub - steps from the beach! Great Getaway ... just steps from the beach! Property 27: Great Getaway ... just steps from the beach! Property 30: Beach life living!!!! 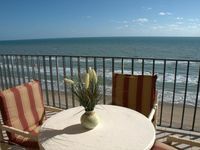 Property 36: Adorable Ocean Front Condo with Pool! You can't get any Closer to the Beach than this! Property 37: Beach House - Private Pool and Outdoor Space Your beach HomeAway from home! Property 47: Condo overlooking Laguna Madre Bay w/ shared pool and hot tub! NEW LISTING! Spacious condo w/ balcony firework show- steps from the beach! Property 49: NEW LISTING! Spacious condo w/ balcony firework show- steps from the beach! This condo is so comfortable and super cute! We loved large balcony. The condo is stocked with pretty much anything you could need. We loved it and the size was perfect for our family of 4! Really enjoyed our stay. Condo was spacious with a really nice deck overlooking the beach, perfect to watch the sunrise. Just a few steps outside the door and we could watch the sunset over the bay. The dishwasher broke but Carol took care of it right away. Condo was clean and nicely furnished. People who worked at Inverness was very friendly and helpful. Nice pool and hot tub also. We would definitely stay there again.